The clock nears closing time as mercantile genius Harry Selfridge faces creditors, swindlers, mob bosses, irate relatives, and spurned mistresses in the farewell season of Mr. Selfridge. Starring three-time Emmy® winner Jeremy Piven (Entourage) as the man who revolutionized the world’s retail experience, Mr. Selfridge, The Final Season, airs on MASTERPIECE in nine nail-biting final episodes, on Sundays, March 27 - May 22 in the new time slot of 9 p.m. CT on OETA-HD. Since the premiere season in 2013, Mr. Selfridge has wowed audiences and critics alike, much as the original Harry Gordon Selfridge did with his trend-setting, taboo-busting palace of commerce, Selfridge & Co., which opened in 1909 on London’s Oxford Street. Shopping has never been the same since. “A treasure box of tales about love, loss, ambition, and the spirit of a new age,” enthused The Wall Street Journal during Season 1; “lush and lovely,” murmured The Los Angeles Times about Season 2; “visually glorious,” gushed the New York Daily News for Season 3. Now Mr. Selfridge, The Final Season follows the unpredictable arc of Harry’s career to its thrilling climax, charting the fate of the showman with the big heart, shaky morals, and dogged belief that the dice roll will save him—and the store—every time. Making new trouble for Harry this season are Jimmy Dillon (played by Sacha Dhawan, The History Boys), an Anglo-Indian entrepreneur specializing in too-good-to-pass-up business deals; press magnate Lord Wynnstay (Robert Pugh, Game of Thrones), who exploits Harry’s shocking private life to sell newspapers; and the blonde bombshells of their era, Dolly sisters Rosie and Jennie (Emma Hamilton, The Tudors, and Zoe Richards, How to Become a Criminal Mastermind), American twin dancers who appeal to Harry’s wicked streak. The returning cast includes Katherine Kelly (Coronation Street) as seductive Lady Mae, creating fashion and passion in the new season; Amanda Abbington (Sherlock) as Josie Mardle, once again confronting former lover Mr. Grove, played by Tom Goodman-Hill (Case Histories); Ron Cook (Little Dorrit) as hard-headed store CFO, Mr. Crabb, who has had to loosen his business ethics a bit; and Trystan Gravelle (Anonymous) as Victor Colleano, now running the swankiest club in London. Also back are Amy Beth Hayes (The Syndicate) and Samuel West (Any Human Heart) as the career-conflicted couple, Kitty and Frank Edwards; and Greg Austin (Law and Order: UK) as Harry’s ambitious but clear-thinking son, Gordon, heir to the family business and determined to put a new gloss on the family name. This season’s exploits find Selfridge & Co. on the brink of its twentieth anniversary. The nonstop sales blitz since the store’s founding gives no sign of letting up and is beginning to take its toll on the staff, Harry’s family, and his friends. But not on Harry. Or is it? Mr. Selfridge, The Final Season is a co-Production of ITV Studios and Masterpiece. 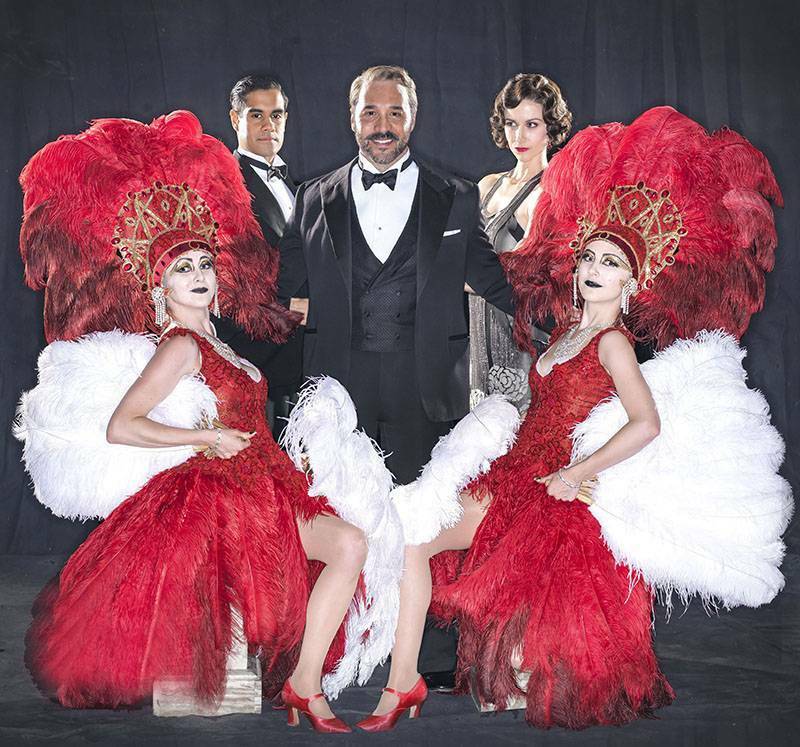 It is created by Andrew Davies, developed by Kate Brooke and based on “Shopping, Seduction & Mr Selfridge” by Lindy Woodhead. The writers are Helen Raynor, Kate O’Riordan, Matt Jones, James Payne, Ben Morris and Hamish Wright. The directors are Robert Del Maestro, Bill Anderson, Fraser MacDonald, Joss Agnew and Rob Evans. The producers are Dominic Barlow and Jeremy Piven. The Executive Producers are Kate lewis and Helen Raynor. Rebecca Eaton is the Executive producer for MASTERPIECE.